It’s officially started… the Premier League kicked off at 8pm BST on Friday 10th August with Manchester United hosting Leicester City and we could not be more excited for the start of the new season! The transfer window has closed, the fantasy leagues have been created and fans across the world are preparing for nine months of football fever. 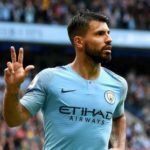 Making 2018 / 19 Premier League history, Manchester City’s Agüero scored a hat-trick in this weekend’s fixture at home to Huddersfield Town, continuing City’s winning streak to defend their title. 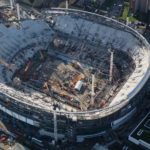 The Argentine footballer opened the scoring in the 25th minute, before finding the back of the next 10 minutes later and again in the second half. 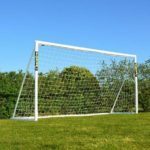 The crème de la crème of our PVC Range, the 12 x 6 FORZA Locking Football Goal is a must- have for all football fan’s gardens this season. Whether you’re looking to make saves like David de Gea or practice set pieces before the weekend’s fixtures, you can’t go wrong with this specialist garden goal. 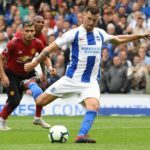 Brighton & Hove Albion’s victory against long-standing Premier League top dogs, Manchester United this weekend was no mean feat! With Glenn Murray and Shane Duffy scoring within two minutes of one another, followed by Pascal Groß’s penalty, not even Paul Pogba’s goal in the 95th minute could stop the Seagulls flying to victory! Always one for an underdog here at Net World Sports, keep an eye out on our Facebook page here every weekend for potential prizes if a #FORZAUnderdog win! 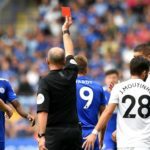 After a reckless tackle on Wolverhampton Wanderer’s Matt Doherty, Jamie Vardy was issued a straight red card by referee Mike Dean, meaning he will now serve a three-game ban. The red card has caused some controversy though as the Leicester striker won the ball cleanly. Either way, it’s reported he did apologise to Doherty in the changing rooms and The Foxes won’t be appealing Dean’s decision. 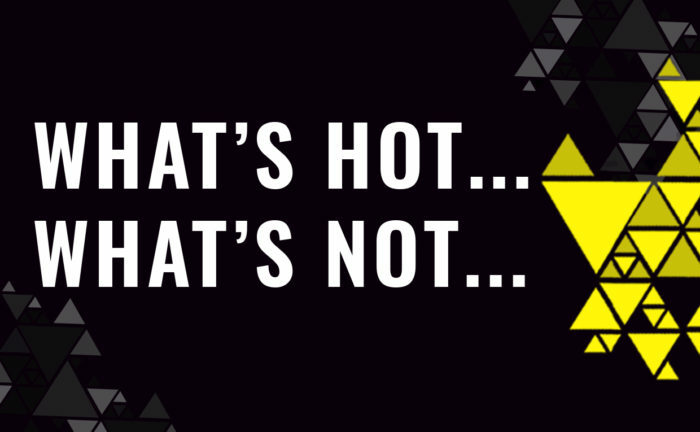 With 380 matches to be played a lot can happen, which is why we’re bringing you our picks of ‘What’s Hot’ and ‘What’s Not’, both on and off the pitch every month of the season. To keep up to date with all our ‘What’s Hot, What’s Not’ action and ensure you never miss out, subscribe to our emails here.